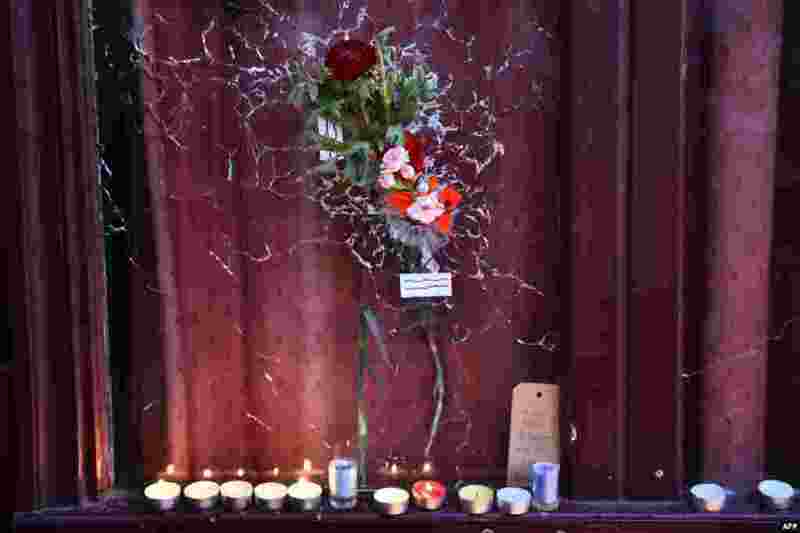 1 Candles have been lit next to flowers hanging on a broken window of "Le carillon" restaurant, one of the site of the attacks in the 10th district of Paris. Islamic State jihadists claimed a series of coordinated attacks by gunmen and suicide bombers in Paris that killed at least 129 people in scenes of carnage at a concert hall, restaurants and the national stadium. 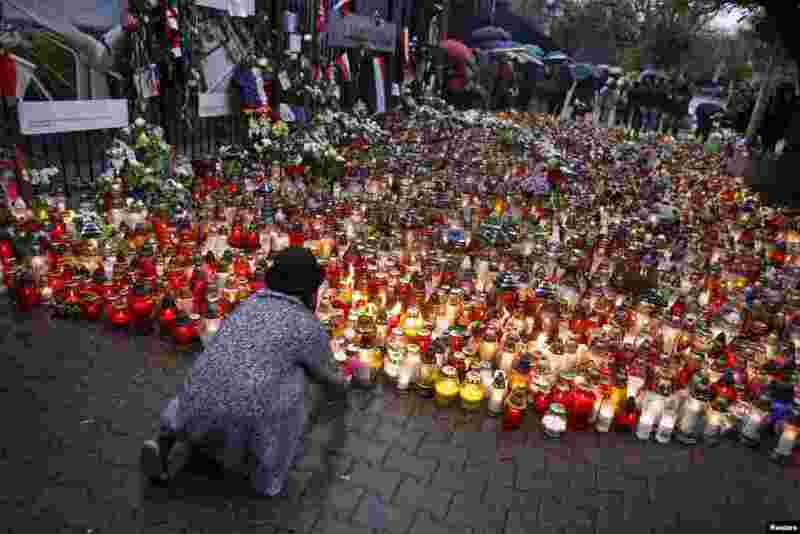 2 A girl lays a candle to commemorate victims of attacks in Paris in front of the French embassy in Warsaw, Poland. 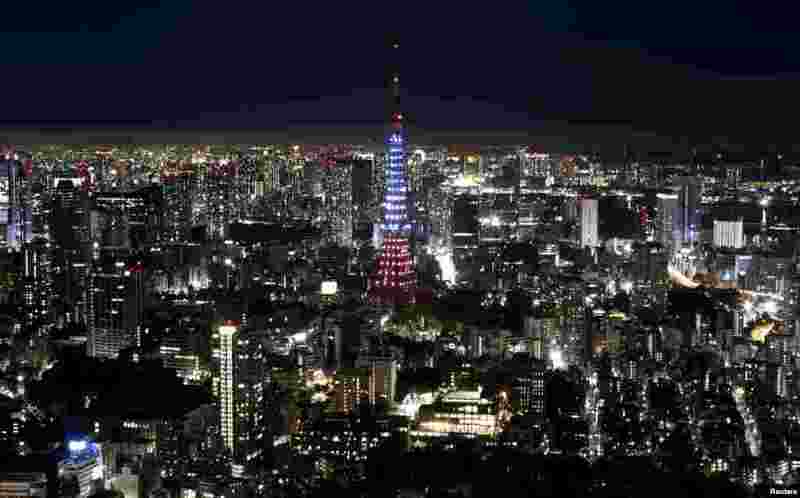 3 Tokyo Tower is illuminated in blue, white and red, the colors of the French flag, in response to the Paris attacks, in Tokyo, Japan. 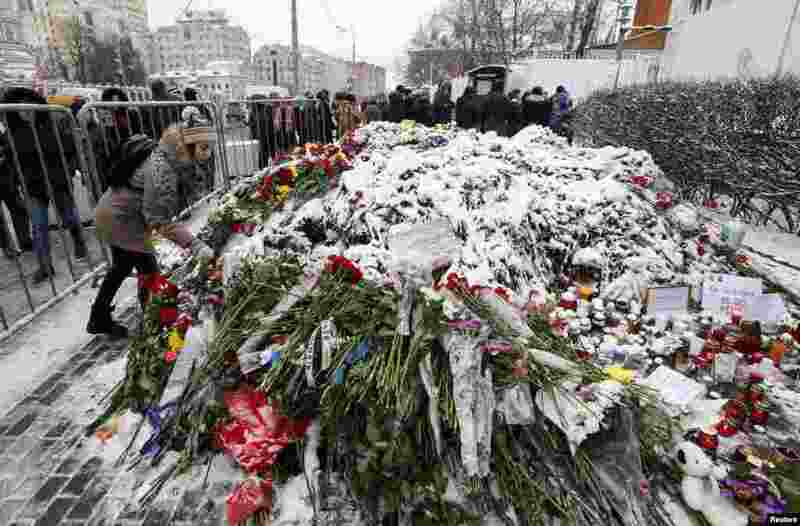 4 A woman lays flowers near the French embassy to commemorate victims of attacks in Paris, in Moscow, Russia.